Womens Patchwork Jeans – Denim Trend Fall | Are Patchwork Jeans in Style? + How to Wear Patchwork Jeans! Are Patchwork jeans in Style? 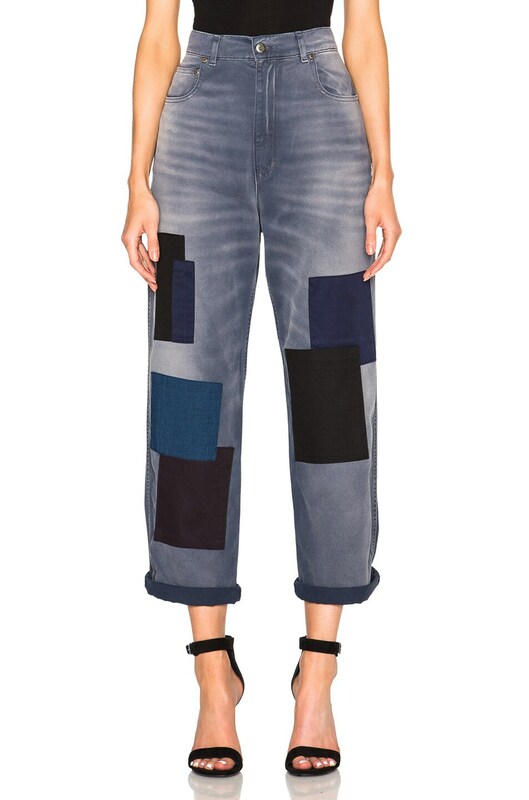 How do you wear patchwork jeans? Are patchwork jeans trendy for fall? I purchased these patchwork denim pants from a lovely seller on vinted. These edgy chic jeans remind me of the good ol’ 90s. I love the flared legs- bell bottoms style, and multi tone denim washes. I committed to the 90’s theme by wearing my absolute favorite black chunky platforms from H&M. You can modernize this look by pairing your patched flare denim with an open toe high-heel. I paired the denim pants with a solid color off the shoulder top, to add a soft touch to the already edgy look. I opted for a monotone look with an added touch of blue, however, you can pair your patched denim jeans with an oversized or fitted white button up shirt. What are your thoughts on patchwork jeans? Matching Outfit Ideas for Mommy and Son! Next Post 25 Best Affordable Long Lasting Waterproof Mascaras for Swimming!